You all feel it: humanity is in turmoil, the planet suffers and it appears on all levels to be getting worse: genocide and displacement, war, hunger and misery, millions of people are on the run and threatened by death. The resources of the planet are exploited recklessly than ever to the detriment of many and for the benefit of a few, forests are burned, huge tracts of land wither, toxins are placed unfiltered into the environment, rivers get dirty, seas and oceans are filled with human remains such as thousands of tons of plastic and thus change their natural balance. Smart people in politics talk much and do not act in the same way. Global corporations do not talk much but reach maximum profit by their all-pervading power. The military industrial complex still acts uninhibited; the apocalypse of nuclear war is fueled again. The education of people has reached a catastrophic low level, their mental manipulation by the increasing digitization, however, has reached a frightening extent. The growing and ever more successful efforts of creating an artificial intelligence (ai) are questioning the future of mankind existentially. These are not sci-fi scenarios, it is the cruel reality. The only way to deal with and to bring about an improvement is the spiritual alliance of positive-minded people. This is the central message of the EPP: we must do something; we must prove true our responsibility transferred to us for the planet Earth. We are challenged to do this now! In the past, we, the organizers, have demonstrated with large-scale and worldwide organized meditation events and verified by the global consciousness project (GCP) of Princeton University, that we can influence the global consciousness enduringly. The knowledge of the interaction between spiritual energies with places and buildings is a key pillar of power enforcement and known throughout human history. This knowledge is also used by us and provides us with major influence which is - to say at least - not very welcomed by certain parties. Each of us can enable and use these forces; each and every one of us is strong. Together, we are stronger. Focused in spirit and acting together on an item we are strongest. Be with us and with all likeminded people on December 21st, 2018, in the period from 7pm to 8pm UT or at the very time of the Winter Solstice in your time zone in a powerful global meditation united in the aim to bring about healing to the battered planet and to positively affect the global human consciousness. The Winter Solstice marks the time of the return of the light. Let us use this day to bring about white light to dark places and people meditatively. Go to your favorite spot whether outdoors or at home, place a white candle on an image of the Earth, ignite the candle and come to rest. Enable the vision of a protective hull of white light around our planet and then go to the place which attracts you most and which needs your healing and positive energy. Stay in the meditation for at least 36 minutes, the longer the more intensive and the better the success will be. While visualizing this all the time, while feeling how many other people are doing the same thing at the same time and while sensing their energy and connecting with them to a beautiful planetary community, it becomes a like cosmic symphony whose echo will be heard throughout the universe. And when you come back from the meditation, you will feel joy and warmth because you were successful and have helped to bring about change. Remember our old German song: "The thoughts are free!" ("Die Gedanken sind frei!") 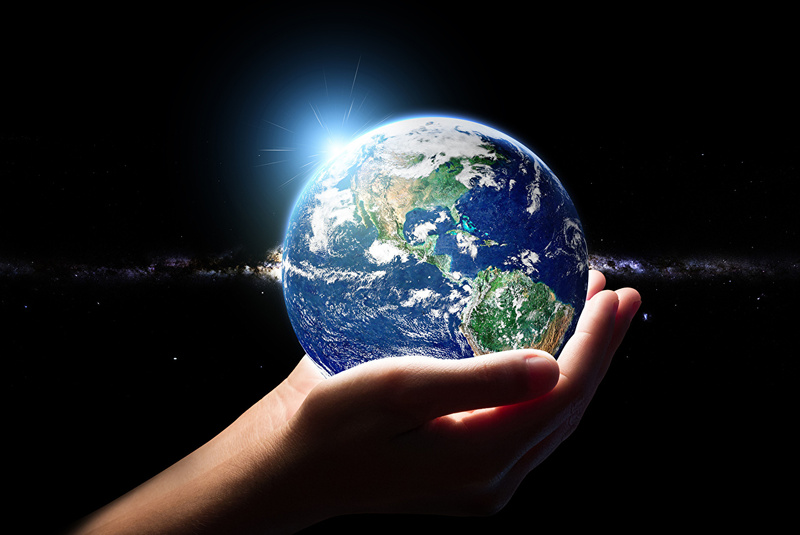 With your participation in the "Earth Peace Project" you will contribute that this remains so. ...and, of course, this website!